I will say, flat out, that I didn’t think December would be a down month, and it is shaping up to be the worst December since 1931. Needless to say, the economic environment today is very different than the time of the Great Depression, so the parallels are difficult to draw, despite the similarity of the stock market performance. Based on the latest consensus estimates from Factset, EPS growth for the S&P 500 is going to be 20.6% in 2018 with another 7.9% in 2019, along with 5.3% revenue growth to boot. 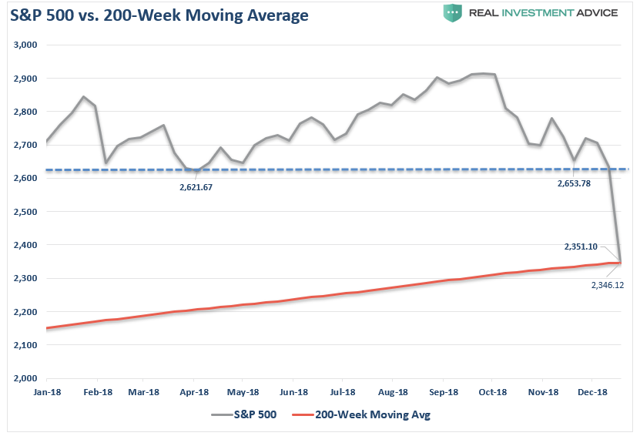 If the S&P 500 ends 2019 where it is today, that would mean that share prices would have failed to respond to a compounded EPS growth rate of over 30% in two years (1.206 x 1.079 = 1.301). If the economy is still growing in the second half of 2019, this will become the longest economic expansion in the history of the United States. I think it will continue for all of 2019. This means that, with a growing economy and growing earnings, this latest selloff is unlikely to be the start of a bear market. My 2018 annual prediction – that the U.S. dollar would rally in 2018 – has worked out well, despite a very poor performance in the first quarter (for my full prediction, see December 18, 2017 Marketwatch article “Ivan Martchev’s 2018 predictions: Gold will sink, and the dollar will rally”). It needs to be noted that the dollar is up a lot more against emerging markets currencies than the old U.S. Dollar Index, which contains only developed market currencies. This more notable outperformance against emerging markets currencies for the dollar is likely to persist in 2019. Recessions do not start with unemployment at a 49-year low of 3.7% (charted, below) and the economy growing at around 3%. Before a recession can start, the economy needs to slow, and the unemployment rate needs to stop falling and begin turning higher because of the economic slowdown. That takes time. While a slowdown is likely to begin in 2019, the recession will most likely happen in 2020 or 2021. Can the Stock Market Go Down in a Good Economy? 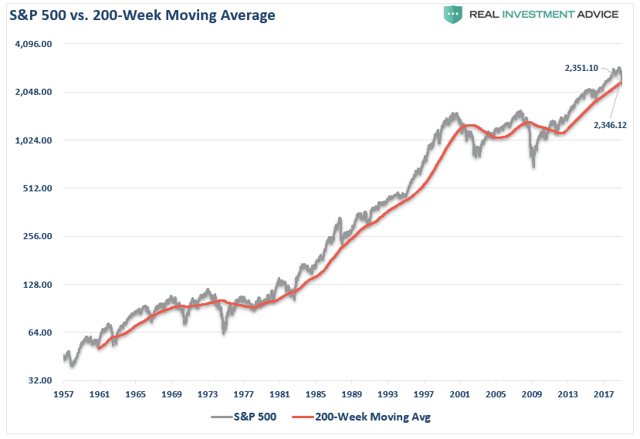 In the year 2000, the stock market was overvalued but it took a while for the air to come out of the bubble before it bottomed in March 2003. In the year 2007, the financial system almost blew up with unregulated mortgage lending and repackaging of no-documentation loans into fascinating securities with oxymoronic names for AAA-rated sub-prime CDOs. 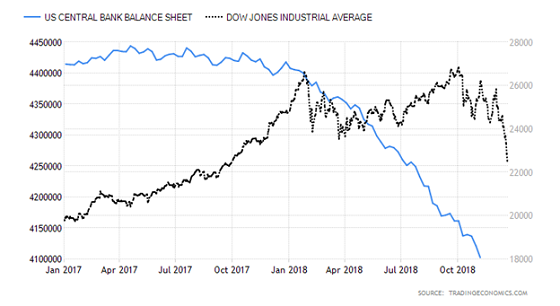 The 1929 and 2008 declines were most similar, as they had to do with financial system leverage and cascading losses as the leverage was unwinding. Unfortunately, there were also serious mistakes on the fiscal side (tariffs that caused a collapse in global trade) and monetary front (tightening that caused banks to fail) in the 1930s. The 1974 decline was due to a big oil price shock. While there is monetary tightening at present, it is not being done in a weak economy. And where tariffs are concerned, they are, so far, being used as a negotiating tactic. The Trump administration would argue that there has been progress on the trade front with Canada, Mexico, South Korea and even with the European Union, so this does not seem to be a full-blown global trade war, at least for now. 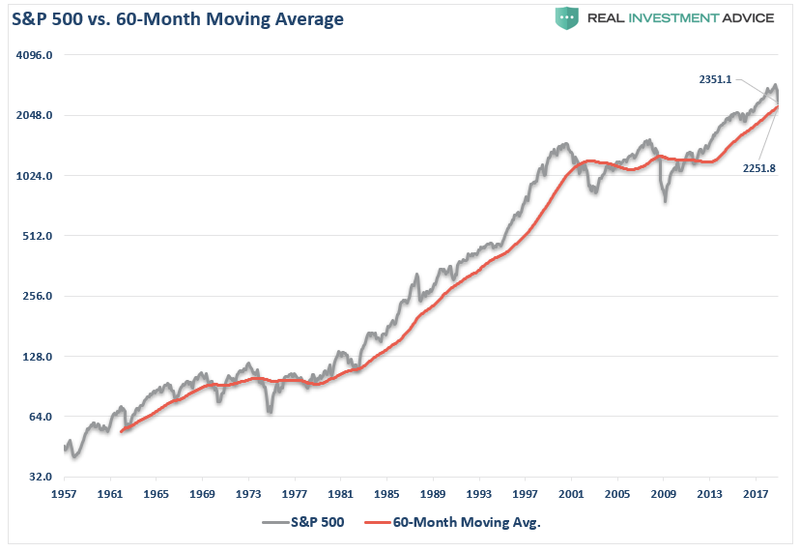 The most extreme example of the stock market going down in a good economy would be 1987. The 1987 market was the new Fed Chairman Alan Greenspan’s trial by fire, where he felt compelled to jump in with a few interest rate cuts, the same way he cut interest rates after the market sold off 25% in August and September of 1998 at the tail end of the Asian Crisis and the Russian sovereign debt default. 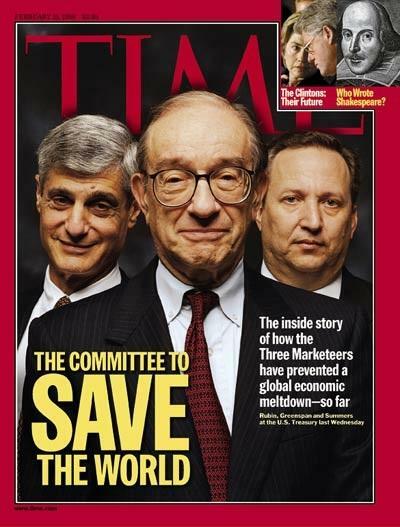 Regrettably, the fortitude displayed by the famous Time magazine cover (below), dubbed “The Committee To Save The World,” is hopelessly missing at this very moment. 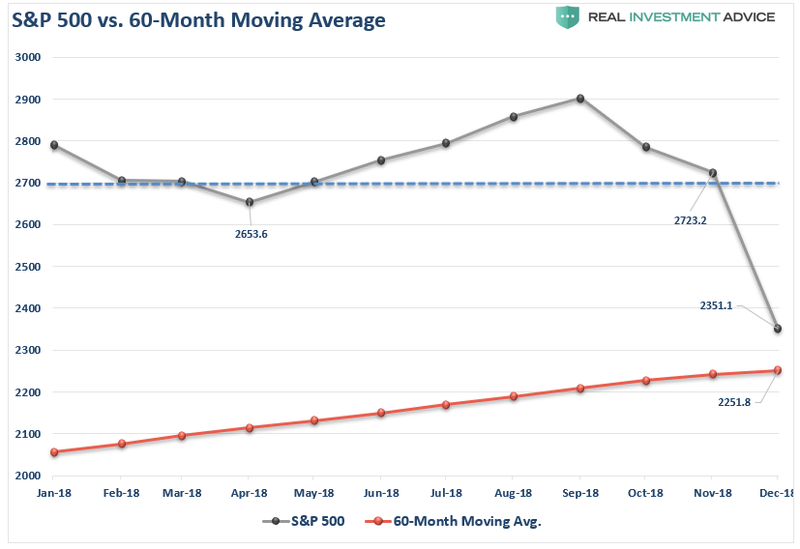 I think the present volatility of the stock market is not due to the hiking of the fed funds rate alone, but also to the more disruptive overall quantitative tightening, which demonstrates itself via the rising Fed balance sheet runoff rate, which went from $20 billion in January to the present $50 billion/month rate. In my experience, sharp selloffs in a good economy tend to reverse themselves as the economy keeps growing and so does the earnings-per-share (EPS) for major stock market indexes like the S&P 500. 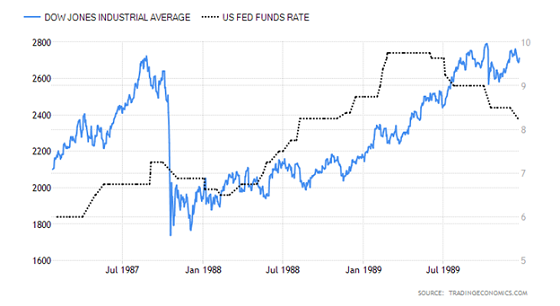 Some of those “good economy” sharp selloffs – as in 1987 and 1997 – required active government intervention in order to stabilize the market, while others took care of themselves. Still, in the present uncharted territory of quantitative tightening, I would have felt a lot better if Gary Cohn were the Fed Chairman. He ran a large investment management organization (Goldman Sachs Asset Management) and had extensive experience as a trader before becoming an executive and a CEO-in-waiting. One certainly needs a lot of theoretical experience to be a successful Fed Chairman, like Ben Bernanke proved, but in the situation that we have now, practical experience would also count for a lot. Disclaimer: Please click here for important disclosures located in the “About” section of the Navellier & Associates profile that accompany this article. There are loads of mobile marketing platforms out there, but two of the best – based both on how long they’ve been in business, reviews and quality of their features – are Textedly and Avochato. Take some time to browse through other options though to see which product best fits your organization’s particular needs.